Access to various documents. A username and password are required. Access to various policies. A username and password maybe required. A list of all events held by the WA Waveski Association and clubs, both past and present. A list of contest for the current year. Including past contrest results. Rules and conditions of the contest. Our templates for contests. Some of the contest results over the history of the WA Waveski Association. See the link above for the first Waveski Surfing contest published online. This was at Rottnest Island Western Australia in 1999. Results were published daily by using a mobile phone as the modem connection to a laptop. As far as we know this was a world first for Waveski Surfing in Western Australia. A collection of photos over the years from various surf locations and contests. 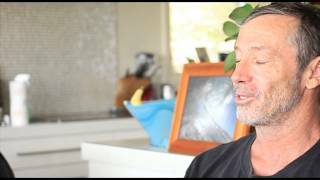 Meet Ben Wogga John a champion bloke and a champion Waveskier! Wogga has pushed the sport of waveskiing to the absolute limits land moves more suitable for a bodyboard. The date for State Round 2 for 2018 has been moved from the 12th May to the 19th May. Please See the calendar. Most of the adjustments to the website have now been completed. There still remains a few problems. I hope to rectify these in the next few days. Today the website was moved from being hosted at a residential adress to the main servers of our ISP. It is expected that the response time in loading web pages will be significatly improved. The 2018 Committee names have been updated. The 2018 calendar has been updated with dates for contests. There is a Wavemaster waveski FOR SALE here. SOLD on the 23/08/2017. There is a Nicki Carstens waveski FOR SALE here. State Round 5 date has not been set as yet. The AGM date has been announced. State Round 3 is now re-scheduled for Saturday 3rd September and entries are now open again. An announcement of the date for State Round 3 is likely to be made sometime on Monday 29th August. WAWSA State Round 3 has been postponed due to Northwest weather. The likelyhood of being able to run a contest at Secret Harbour with Northwest weather is remote. The committee has made the decision to postpone the event until a later date. That date will be announced as soon as a decision has been discussed. The status of your entries will also be announced at the same time. The WAWSA EGM & Awards have been set for 6th February 2016. See events calendar. The September newsletter has been emailed and is now available for download. The AGM nminutes have been uploaded. A draft 2016 calendar has been uploaded. The new committee positions have been updated. The date and times for State Round at Secert Harbour have been confirmed. The results of State Round 3 - Cottesloe have been uploaded. It appears that the date that we chose for State Round 4 has clashed with the AFL Grand Final. We selected the date prior to the AFL setting their date, however a request for the AFL Grand Final to be changed has not been been successful. We will therefore be discussing a change of date. A decision will be made during the AGM on the 30/08/2015. The August newsletter was emailed. A copy can be found at Newsletters. State Round 3 - The Mainpeak Cottesloe Classic online entry is now open. The WAWSA Anuual General meeting (AGM) date has been set for Sunday 30th August 2015 at 9:00am. RSVP by Wednesday 26th August. Starting at 9:00am at Al Fornetto Cafe Ristorante � Pizzeria, 199 Scarborough Beach Rd & Corner Flamborough St, Doubleview, WA. More detail by way of email soon. The Entries for State Round 2 at Denmark is now available online and for download. A WAWSA April Newsletter is now available about the last contest, the coming contest and BBQ as well as a few other things. The results for State Round 1 (2015) have now been posted along with the Grand Prix results. State Round 1 (2015) Entry Forms now available. The final Grand Prix results for 2014 have been updated. Western Australian Wave Ski Association 2014 Awards & Wave Ski Promotional Breakfast Sunday 8:30am 18th January, 2015. RSVP: See Events Calendar. WAWSA Calendar has been updated for 2015. State Rounds 3 & 4 dates have been penciled in. Confirmation once Local Govenment approval has been received. Extra Genaral Meeting has been held. Minutes to be available after verification and approval. State Round 4 entries have opened. The minutes for the 2014 AGM have been posted online. An email will be sent on how to access them. The new office bearers have been elected for 2015. Please see the link Committee Members for 2015. The entry form and the online entry for State Round 4 at Secret Harbour for Sunday 26th October 2014 is now open. State Round 4 at Secret Harbour is confirmed for Sunday 26th October 2014. Meeting will be at 6:30am at Turtles Bend Secret Harbour. Online Entries and manual entry forms will be available on Monday 13th October. The Annual General meeting (AGM) for 2014 will be held after State Round 4 at Secret Harbour. Exact details to be advised. The WA Waveski calendar for 2015 has been posted under the events menu. Please be advised that some information could be subject to change. State Round 4 has now been re-scheduled from Sunday 19th October to the Sunday 26th October. Paddle Surf Magazine. A FREE online magazine for surf kayaking, waveski, and SUP surfing. Subscribe now for free. The WAWSA committee is having a meeting on Sunday 20th July 2014. please refer to the Waveski Calendar. The date for State Round 4 has been set for Sunday 19th October 2014. The meeting place time is yet to be confirm, but is most likely to be the similar as past years. The Waveski Events calendar has been updated. Grand Prix 2013 Points are now available online. State Round 4 Result are now available online. The 2013 Australian Waveski Titles Entry Form is now available for download. State Round 4 Entry Form is now available. New video from G Land by Bernie Huigsloot. The WAWSA events calendar has been updated for 2014. State Round 3 has been moved from Saturday 24th August to SUNDAY 25th August. Newsletter for August is now available for download. Entry form for Cottesloe Classic (SR3) available for download. 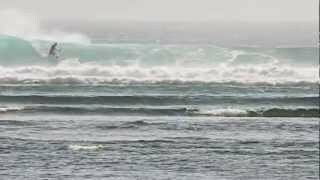 Jeffy Jolly's video of Maldives - 2013. Katana Waveski still For Sale now with some photos. The Grand Prix Points have been updated. Grand Prix. The State Round 2 Results have been posted. Round 2. Jeffy Jolly's report from the Maldives. Added the ability for members and non members to Subscribe and Unsubscribe from the News Emails. See links under News. It appears that the date for the Australian Waveski Title is to be 13-16 November 2013. State Round 2 photos have been up loaded. The date for the Western Australian State Round 3 at Cottesloe in now on Saturday 24th August 2013. The Perth Waveski Club Membership Form is now online for download. State Round 2 Online Entry Form now active. State Round 2 Entry Form now online for download. The results for State Round 1 have been emailed and a copy posted on the web site. Photos from the contest have now been uploaded to the photo gallery. The Entry Forms for State Round 1 being held at Lancelin have been emailed. February Newsletter is now available. Entry Forms for State Round 1 being held at Lancelin went online. A first for Western Australia. Ben John Video on waveski.info. See videos here or at waveski.info. While still in the testing stage, it is expected that the first State Round for 2013 will have an online entry for those that wish to use it. The existing paper entry will still be available. The Event Calendar has been updated. The 2013 AGM minutes have been posted online under the download menu. The WA Waveski Association held its first committe meeting for 2013. Almost all the dates for the 2013 calendar year have now been confirmed. The online events calendar has also been updated. The draft minutes for the 2012 year and AGM held in January 2013 have been now been finalised and are availabe for viewing here. The WA Waveski Association AGM was held and new office bearers have been elected. A draft Events Calendar for 2013 has also been set for 2013. This information has been posted on this web site. The entry form for the World Waveski Surfing Titles in Brazil is now available at the World Waveski Surfing Association Web Site. The event will be run from 22-28 April 2013. Entries can be completed on-line with payment by Paypal. Entries close on 8 April 2013. Dropins since 25 Sept 1995.